The Sony Ericsson Xperia Arc has finally been officially unveiled by the company at CES 2011. It’s the phone that we’ve been dying to see for ages now, as it’s one of Sony Ericsson’s flagship phones of the year. The question is, though, is it any good?! 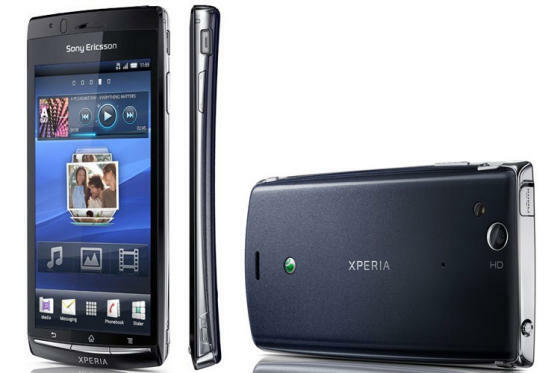 The key features of the Xperia Arc is that it’s a 1GHz Android phone with a super-slim profile and is the first phone to use Sony’s Mobile BRAVIA Engine to give a crystal clear display, not just for videos but for everything you see on the screen – including Sony Ericsson’s own user interface. Sony Ericsson have also improved the camera functionality of the Xperia Arc as well by using Sony’s new Exmor R camera sensor, which improves picture quality overall, it’s exceptionally good at capturing photos in low light conditions. This, combined with the 8.1 megapixel camera and 720p video capture, should make the Xperia Arc an excellent multimedia phone, capable of capturing great pics and video, and playing them back on its glorious 4.2″ screen. You can see the benefits of both the Mobile Bravia Engine and the Exmor R camera sensor in the promo videos below. It looks good, but whether it’ll be enough to maintain sales compared to the dual-core 1080p madness of the competitors that have also been announced at CES, only time will tell!